Glastonbury 2017… have you got the bottle? We are back, back again – bigger and better than ever and ready to inspire the Glastonbury Festival goers into #makingwaves. 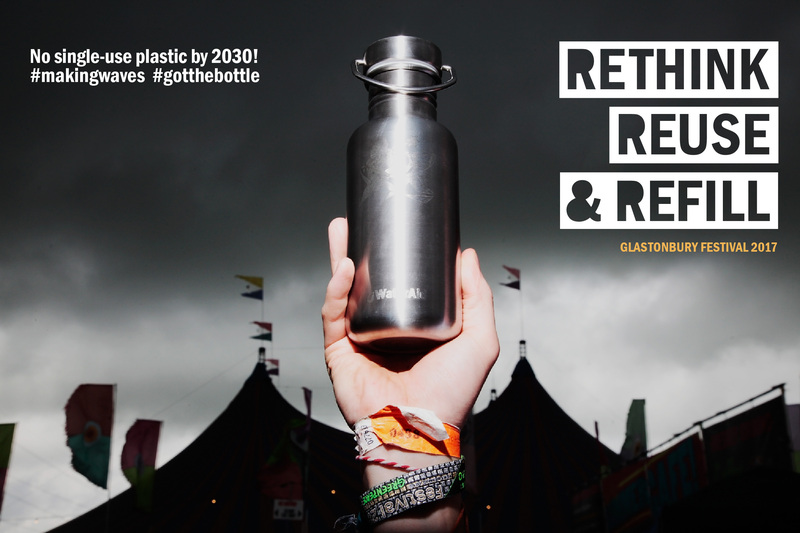 For a fourth year running, Raw Foundation has teamed up with WaterAid & Glastonbury Festival to produce a reusable, 100% stainless steel water bottle and reduce the amount of single-use plastic used and brought onto the festival site. 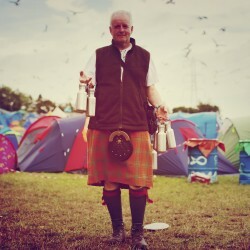 If you are a festival-goer interested in a plastic free future (or indeed keen to reduce festival waste) download our Plastic-Free Festival-Goers Guide, sign our petition and get involved! 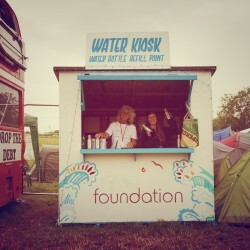 You will find us dotted around the festival site at a number of water kiosks – just pop in and say hello! 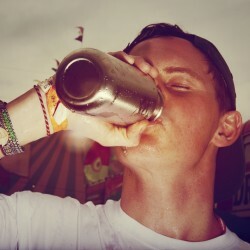 Over the past two years alone, over 15,000 stainless steel bottles have been bought and used on site at Glastonbury Festival! If everyone who bought a 750ml bottle used it twice a day instead of buying plastic bottles then we would have avoided 120,000 single use, toxic plastic bottles from being thrown into landfill and polluting our environment. 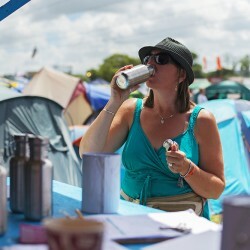 Single use bottles cause an enormous amount of needless waste, especially as the Festival provides free tap water across the site – you can fill your bottle for free at any of their 400 (drinking) water taps. Simply put – every piece of plastic ever made still exists somewhere and with an estimated 150 million tonnes of plastic currently littering our earth and oceans – it’s time to clear up our festivals and clean up our environment. Have you got the bottle…? For those of you who don’t yet have a reusable water bottle, our reusable 100% stainless steel 750ml water bottles are priced at £10 and are a not-for-profit initiative. A limited number of bottles will be sold during the festival at both the Raw Foundation & 10 WaterAid kiosks around the site – simply pop into a kiosk and ask. 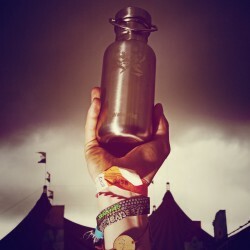 Not only are the bottles a great sustainable memento of the festival but through buying and reusing our stainless steel water bottles instead of their single-use counterparts you are contributing to cleaning up our festivals, oceans and ultimately our environment. 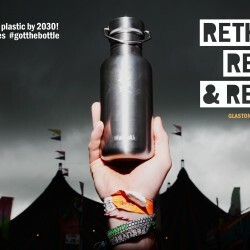 We hope you’ll join with Michael, Emily and the team, to help make Glastonbury 2017 as plastic-free as possible and save yourself a few quid on bottled water in the process! With more than 24 billion single-use plastic water bottles being thrown into landfill every year in the United States alone, we have no time to waste. Come and find us at the festival and sign our petition, to amplify the message for whole sector change and call on world leaders to put an end to single use toxic plastics. – Silver Hayes area, John Peel field & the Coach Park (Red Gate A). Pop in, say hello and enjoy a free glass of water, get a free Raw wristband and sign our petition, calling on world leaders to put an end to single use toxic plastics. – Pick up a festival water bottle. Cut down on the plastic with one of our brilliant reusable bottles. – Pick up a free Plastic-Free Festival-Goers Guide. Learn about the true extent of plastic pollution and its impacts and focus on the solutions. – Visit us and get a free refill at the Raw Foundation or WaterAid water kiosks. 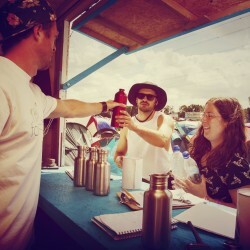 Ask a volunteer to fill up your water bottle for free at one of their sites across the festival. – Tweet your support. Just use #makingwaves to spread the word.